I been using Orbot since today morning and it was working just fine. But, since I recieved an update today afternoon it won't work. 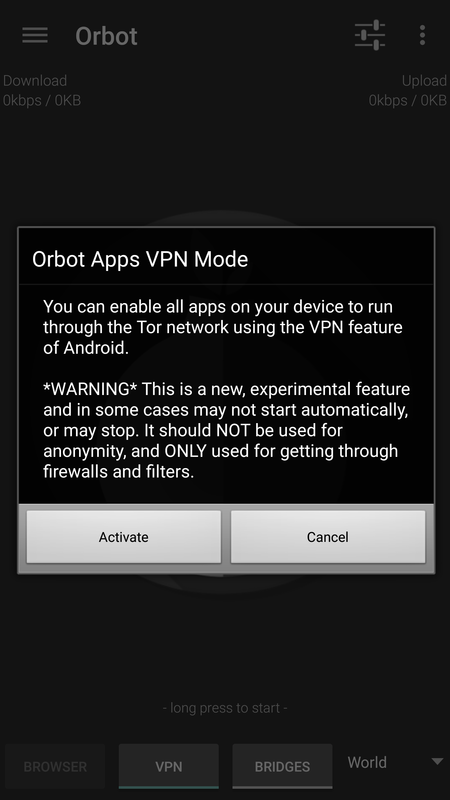 Orbot doesn't connect to the VPN at all. I activated this feature and it didn't worked. I also tried the cancel button and it would just not work. Any idea how might I fix it? Should I need to post the side logs which we get in the app?